As the ultimate purveyor of the polo shirt, Lacoste is often still considered much more at home in the country club than it is on the street. As such, its place in streetwear is often underestimated. Yet, the fact that the green crocodile is such a recognizable and respected logo 85 years after its conception by French tennis player René Lacoste and knitwear manufacturer André Gillier is a testament to the brand’s status. Its longstanding and continued relevance in the fashion industry has naturally spilled over into streetwear and made it a foundational pillar, especially in its native France. Although apparel remains at Lacoste’s core, the brand actually has a rich and relatively untapped footwear archive that dates back further than you may think—all the way to 1985. 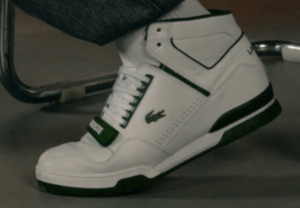 At that time, Lacoste had established itself as a reputable performance tennis label but decided to venture into footwear as the early athletics and first wave of home fitness trends began across Europe and, especially, the States. Lacoste subsequently released a number of court-ready silhouettes that were unmistakably bolder and future-facing. One of these was the M85, which has become one of the French label’s most iconic models of that time. It’s also since served as inspiration for a number of other silhouettes that followed. 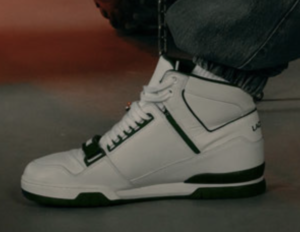 The shoe is available as of October 15th. For more details see HighSnobiety’s review. This entry was posted in Lacoste, Shoes, Street Style by JFP. Bookmark the permalink.